What can I say...I'm a 12x12 kinda gal. When things are not going right or I'm feeling like I need some crafty time...I reach for 12x12. I think we all have our own comfort zones and that is mine. 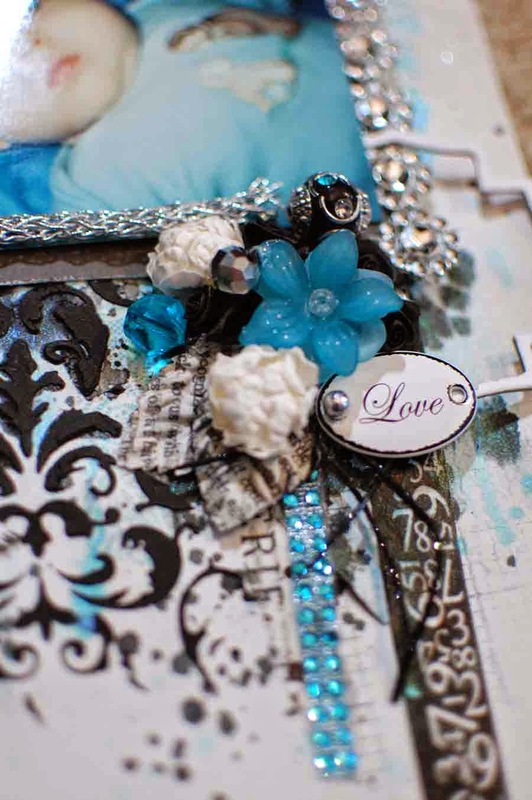 If you have seen my work you know that I am over the top...lots of mixed media...more flowers than a gal can handle. But when I saw the Fancypants Nautical line, I was so inspired to do something clean and simple. I purchased some 12x12 in a couple of the patterns and went to town!! They were so much fun to create with! 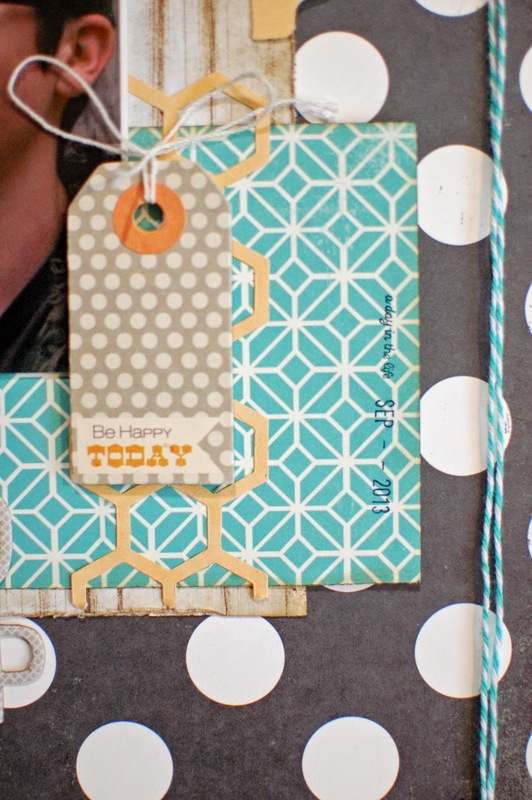 I also used my new Tim Holtz Honeycomb die to create some layers behind the photo grouping. The tag is from the clearance section and is Fancypants as well but from a different line. I just adore the Junkyard Findings Street Signs and this one was perfect...because he is my 1st born!! Get it? I liked the orange with the navy blue and teal (yes that is blue not black) so I grabbed a piece of orange paper from my stash to make my accents. I decided to stamp a tiny date stamp to document the time that this photo was taken. We don't have many every day type photos and this was just a spur of the moment "kids...get in the car...mamma wants pics" kinda deal. So needless to say my teenager was glad I was inspired to NOT use flowers this time. Hard to believe this is the same child isn't it? 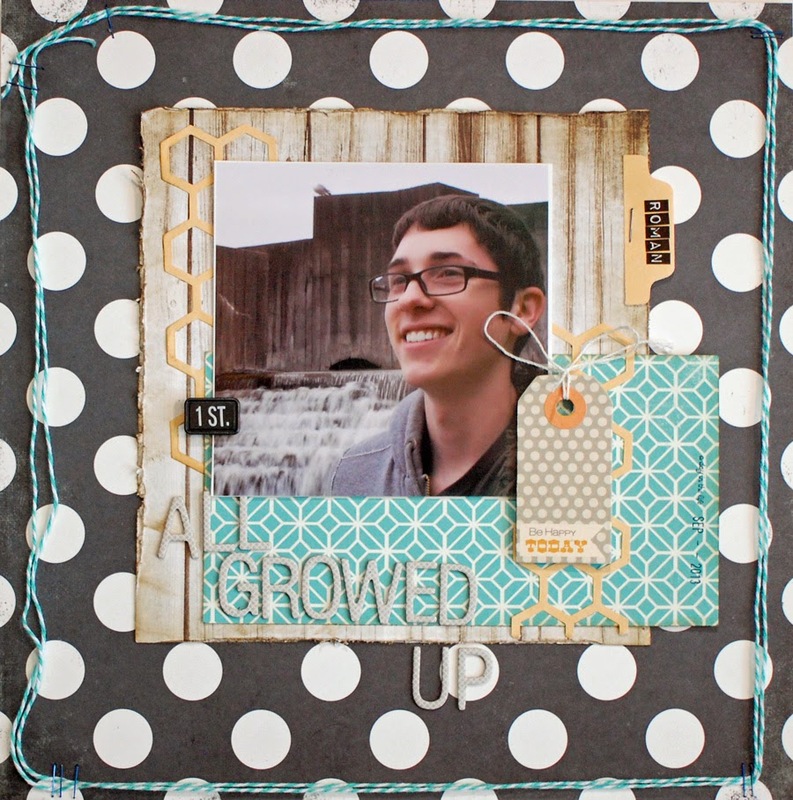 Thus the title for the previous LO of "All Growed Up"
and some Prima masking...a little bling...some stamping...this was seriously a fun layout to create. 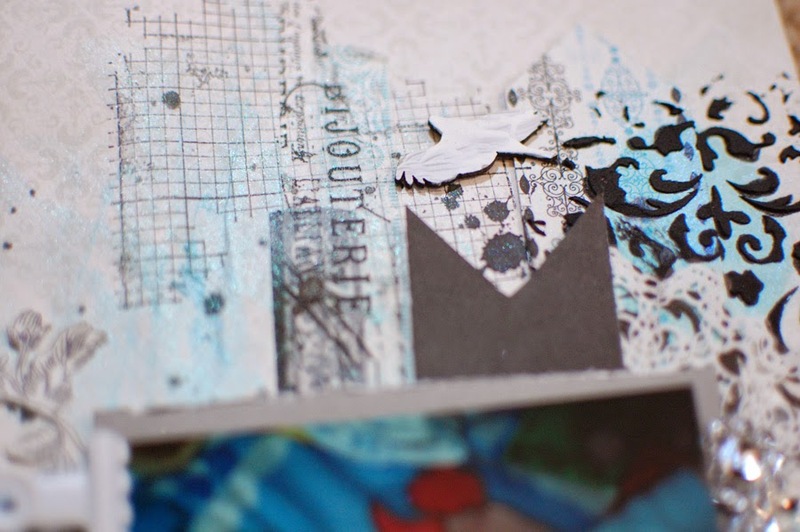 Here is a close up of the tissue tape and stamping. And of course the BLING!!!! Oh so yummy!! And just adorable with the Prima Metal Door Sign. 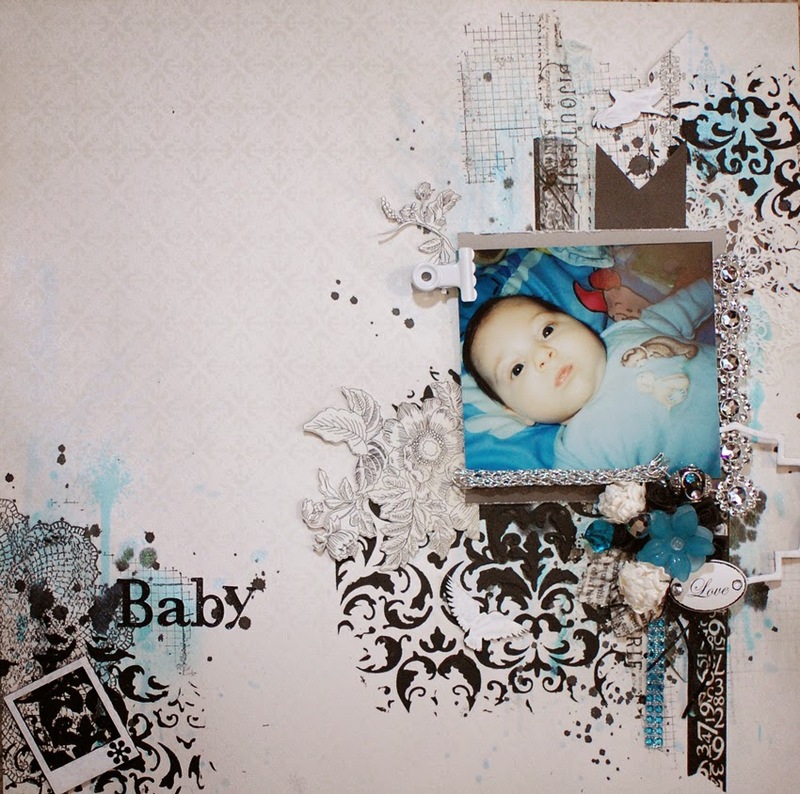 Don't forget our ePlay challenge is still going on this month with STENCILS!!! 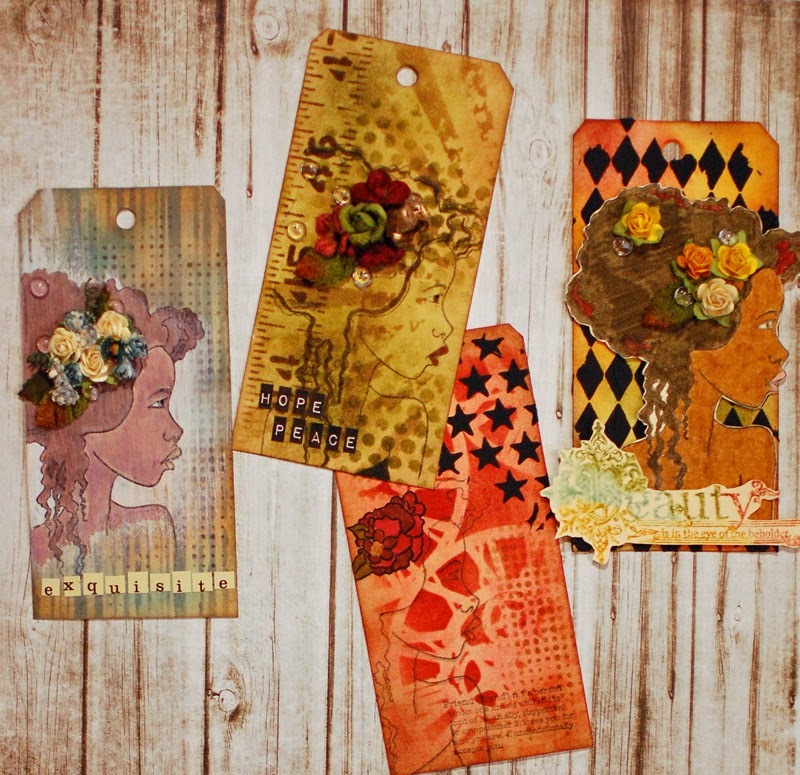 You can check out all the details for these tags on my blog at www.scrappygoddess.blogspot.com. Super GORGEOUS layouts, Andie! LOVE seeing the baby to the all growed up! FAB colors and design, BOTH! What a marvelous page for your 1st Andie! Love the street sign - hadn't seen that in the shop! great colors and papers too! what fun to compare it to his 'baby' page! I LOVE the polka dot layout. It's just awesome and love the pop of color. And your 2nd page - love love love!!!!! Again, love all that white space with the pop of color. I wish I had a "knack" for creating beautiful pages like this. Gorgeous.